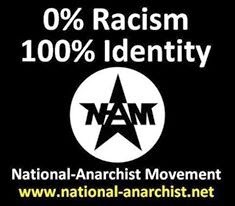 FOR MANY people the terms ‘Nationalist’ and ‘Anarchist’ represent completely different ends of the political spectrum. For instance, the popular interpretation of ‘Nationalism’ is that it is a ‘right-wing’ idea – with nationalists mainly being concerned about law and order and the supremacy of the State. 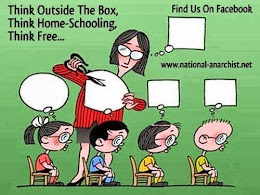 In a similar vein, ‘Anarchism’ conjures up images of worthless unwashed drifters, nihilists who are only interested in causing trouble whilst trying to destroy the state. Thus nationalism and anarchism would appear to share little in common – except seemingly irreconcilable differences! 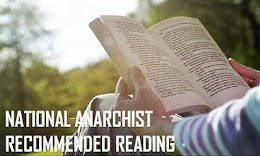 “What you are about to read is designed to give you a taste of what life could be like in decentralised, National-Anarchist communities. Bear in mind, however, that this is only a very brief outline and that we have provided a series of reading lists to help you explore the various topics in more depth. 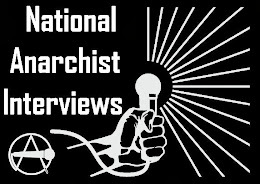 Once you have acquainted yourself with our position on various issues, you will find information relating to how you can get involved with the National-Anarchist Movement (N-AM). Our job is to offer you a vision of a brighter future. 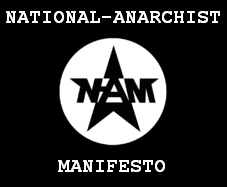 If you like what you see, you can help us make that future a reality"
The N-AM web-site also features an in-depth manifesto. 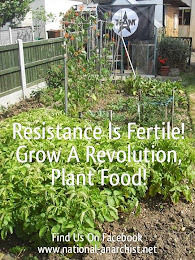 This manifesto covers subjects such as The Failure Of The Left, Green Replenishment and Revolution. Interestingly, the N-AM seems to favour a revolutionary cadre structure and entryism as opposed to purely electoral work. They also intend to launch a magazine, intriguingly called Tribal Resonance. 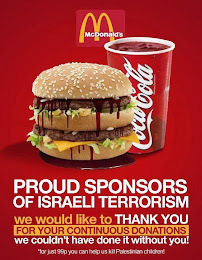 One of its chief Ideologues is Mr. Troy Southgate from South London. In the past Mr. Southgate has given thought-provoking interviews. If the contents of Tribal Resonance are as thought-provoking, it should be well worth looking out for. As a think tank that advocates a Third Way, we obviously welcome the N-AMs general Third Positionist stance. Indeed, it joins an increasing number of groups who seek an alternative to capitalism and communism. Additionally, we have a feeling that National-Anarchism has the potential to attract significant numbers of disaffected and rebellious – yet thoughtful – youth to its ranks. 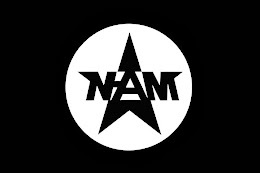 We hope to take a further look at developments within the N-AM in the near future.